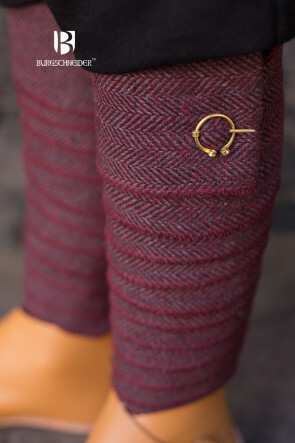 Wiltshire Herringbone is a a woolen fabric in a herringbone weave with a soft feel and an elegant drape, manufactured exclusively for Burgschneider. 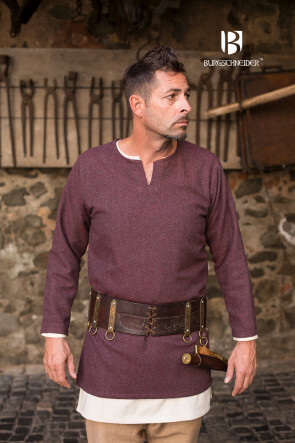 The iconic herringbone weave is popular in modern portrayals of Vikings and other characters from the European Early Middle Ages. 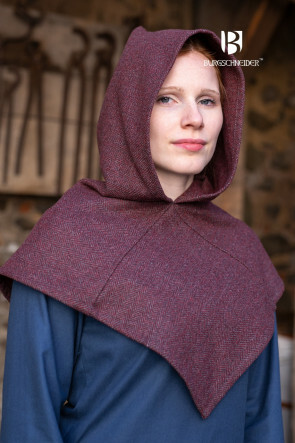 However, the pattern has also been discovered in much older textile findings—even in samples dating back to antiquity. 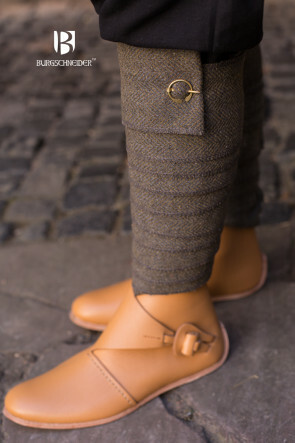 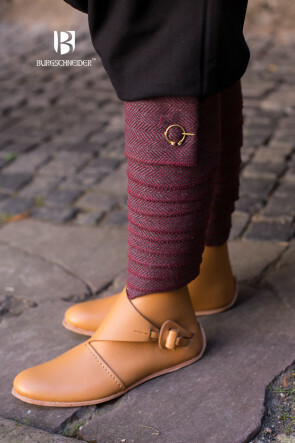 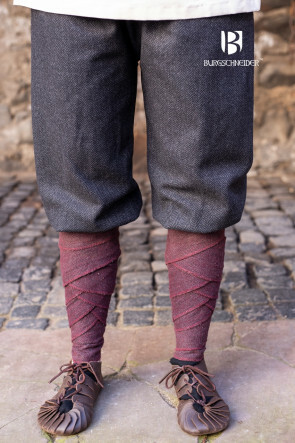 Wiltshire Herringbone’s densely woven fibers allow the wearer to stay warm while simultaneously keeping dampness out, and even in summertime, the wool content provides a pleasant, cooling effect. 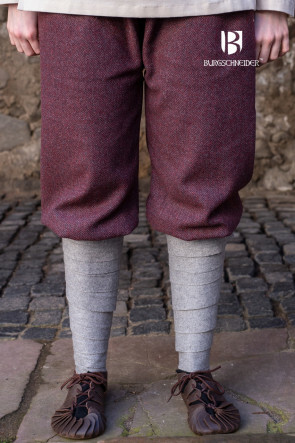 The blend of 60% wool, 37% polyester, and 3% nylon combines the advantageous qualities of both natural and artificial fibers: it minimizes the pilling found in pure wool fabrics and reduces their scratchy feeling on the skin, while at the same time ensuring greater resistance to tearing. 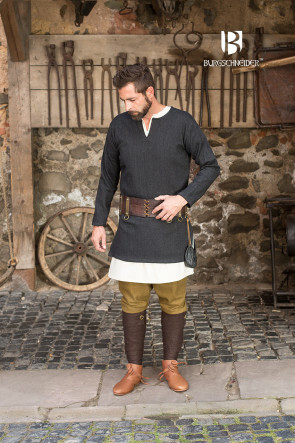 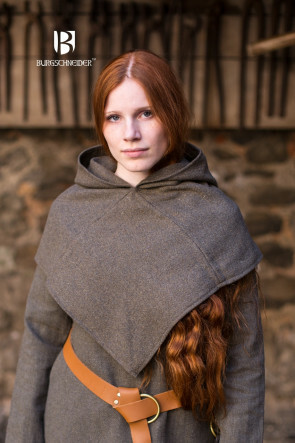 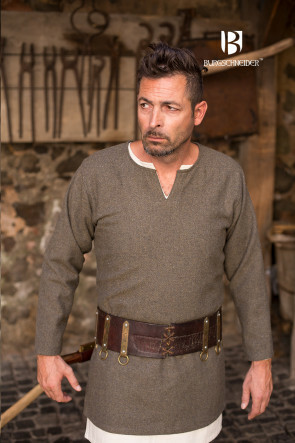 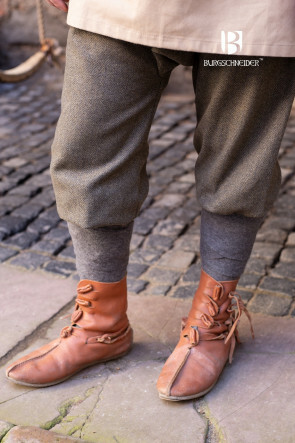 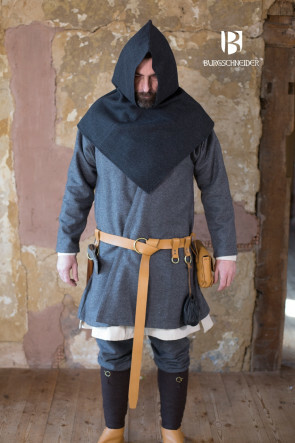 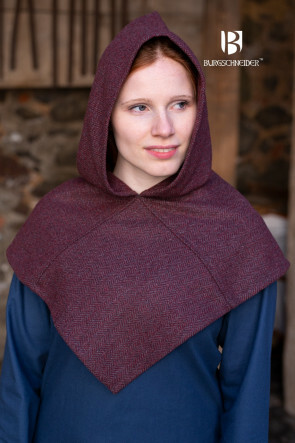 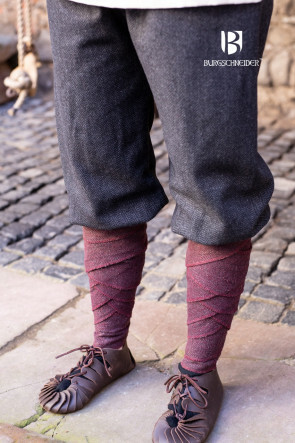 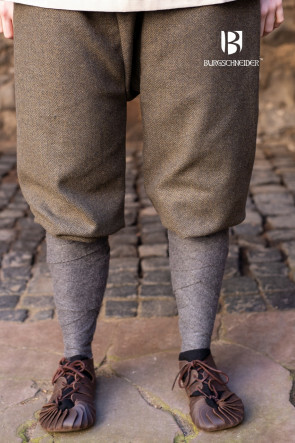 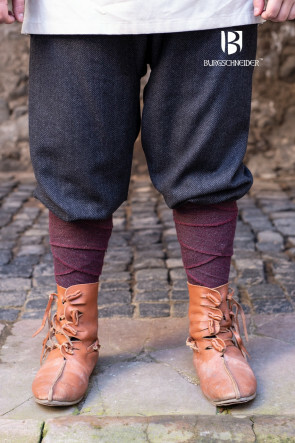 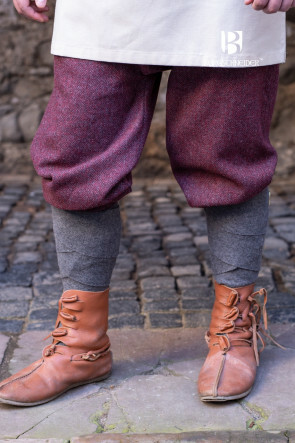 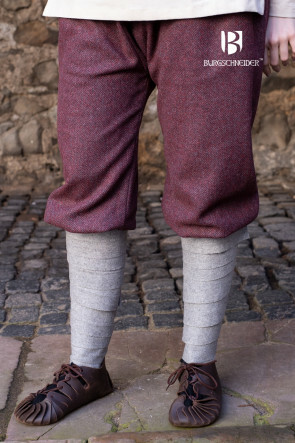 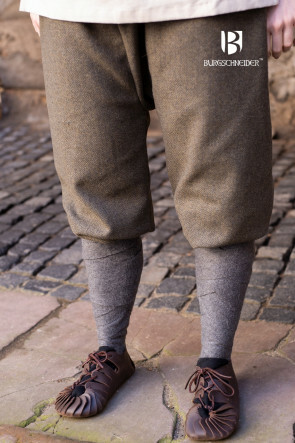 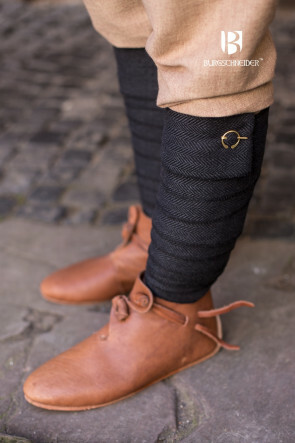 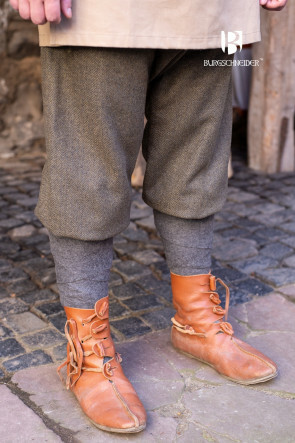 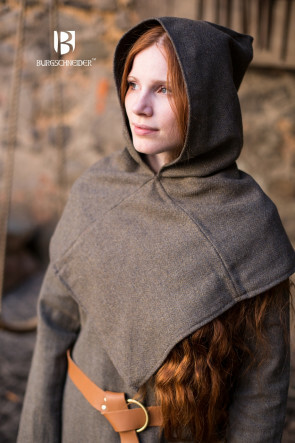 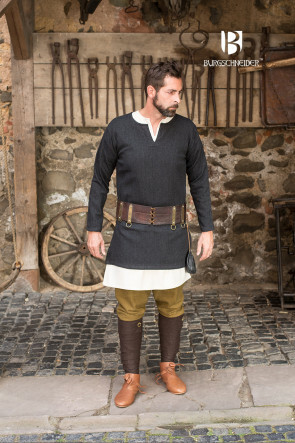 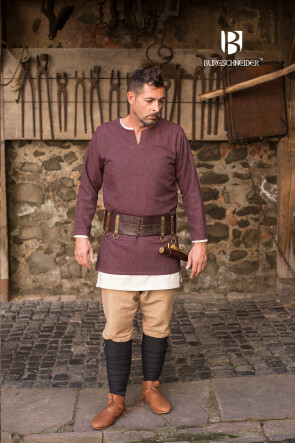 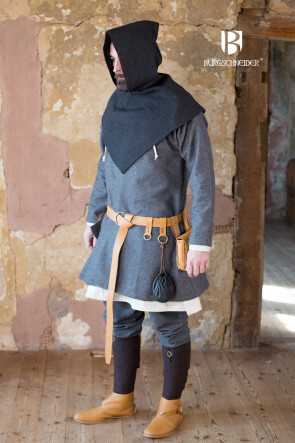 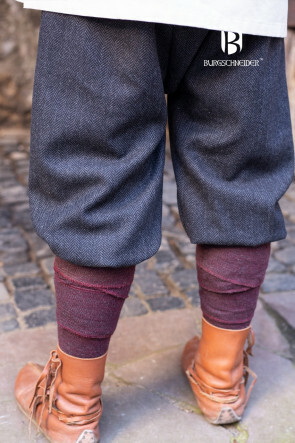 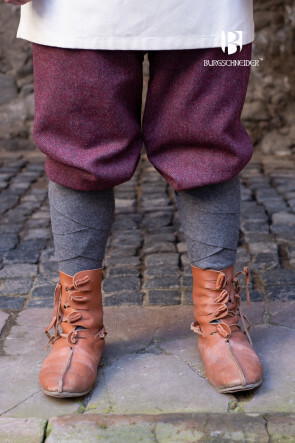 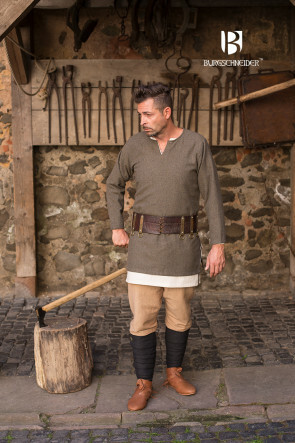 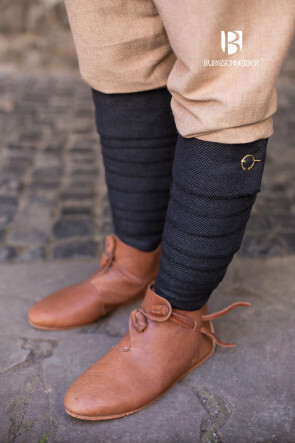 This way, our Wiltshire Herringbone is ideally suited for sturdy medieval clothing and fantasy costumes.